In 2014, renowned artist Rachel Gadsden was a prizewinner of the inaugural “Space Open Call” competition. She got in touch with filmmaker Abigail Norris and myself via the wonderful Paula le Dieu, and the UNBOUND Global was born. This project aimed to explore the complex and often painful emotions that individuals and communities endure and overcome in the United Kingdom and in the Middle East when embarking upon cultural and personal life changes. UNBOUND wanted to test whether the challenges and anxieties experienced in embracing unfamiliar places could be explored through creative methods, with different ways of seeing made visible through art. As the project’s digital designer and strategist, my task was to envision the first stage of a larger interactive project that would ask people to communicate their identities through creative artworks. After researching the myriad needs and motivations of potential participants, I created a gallery-based web presence that flipped between participant artworks and a photo of each individual, as well as press and print materials for use at festivals and other interventions. I really enjoyed getting to work with such an inspiring group of creators for this project. 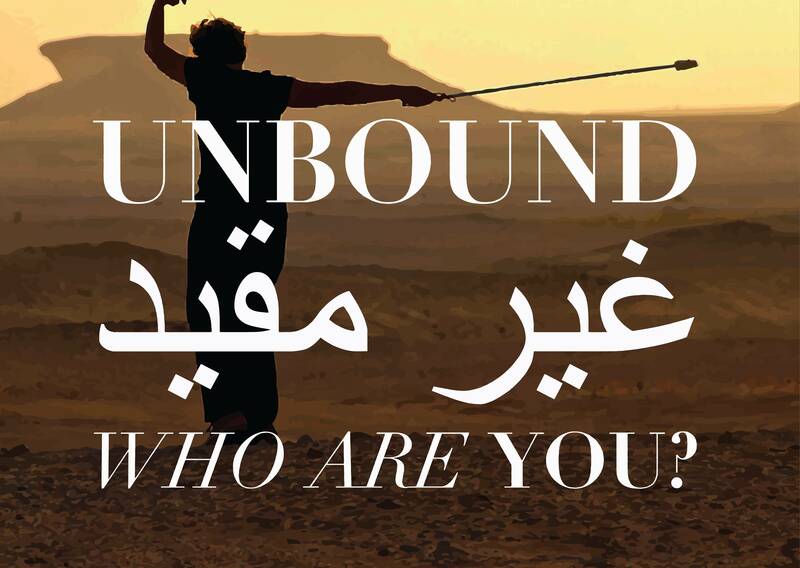 The UNBOUND website at was officially launched in 2015 with the help of funding from The Space, and it continues to take on new artworks as a result of Rachel’s excellent hands-on work with creatives around the world.